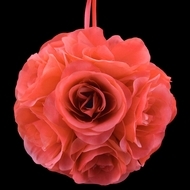 Pomander Kissing Balls Now on Sale! 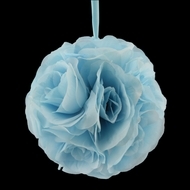 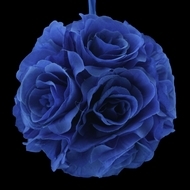 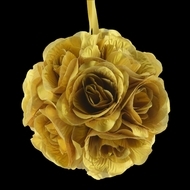 This new line of pomander kissing balls are classic, exotic, and beautiful for any occasion. 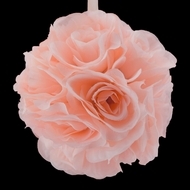 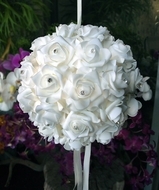 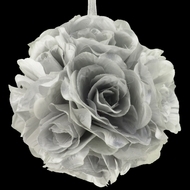 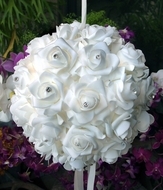 These flower ball lanterns are covered with faux flower petals. 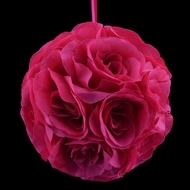 Traditional lanterns sometimes just don't make the cut when it comes to creating an atmosphere for any stylish, chic event. 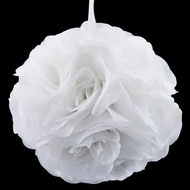 For people seeking the ultimate statement piece for the lighting at their celebration, pomander kissing balls are the perfect combination of functionality and decor. 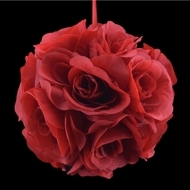 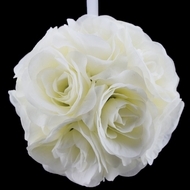 Our elegant foam and satin kissing balls are absolutely stunning, different from your traditional rose kissing balls, these foam or satin kissing balls adds a touch of elegance that regular kissing balls do not provide. 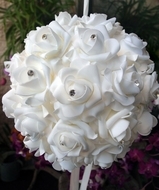 Finished with rhinestones and pearls on each rose, this added touch clearly distinguishes this pomander from any other out in the market.